We are almost one year into our journey as a church, and we know that we would be nowhere without people who have chosen to make the180 their home. As a way to reflect on this past year, we are featuring several individuals and families who joined us along the way. By serving and gathering with us, these people have truly made the180 special and help us look forward to our ongoing journey of learning and growing in Quebec. Today, meet Martin and Marjorie, and their children Coralie (not pictured) and Katya! We have two girls, 16 and 18, and have been married 22 years. Martin works full-time at the University of Montreal, and Marjorie has recently been on a rest year but is actively seeking new work as an accountant. We met in Montreal at a church. Marjorie moved here when she was about 24 years old from Western Canada; she grew up in a Christian environment but as a young person she heard about revivals in Quebec. It was unusual to hear of people coming to God as adults and she was interested in French and French culture and so she made her home here as a young adult. Martin was born in Ottawa but moved to Montreal at a young age. As someone with a scientific mind and born into a Catholic family, Martin has had a long journey with faith. Through experiences in a Bible study group and at a summer camp, he learned that it was safe to ask questions and to trust God. We began attending the180 in October of last year through the invitation of friends and soon decided to make the180 our home. 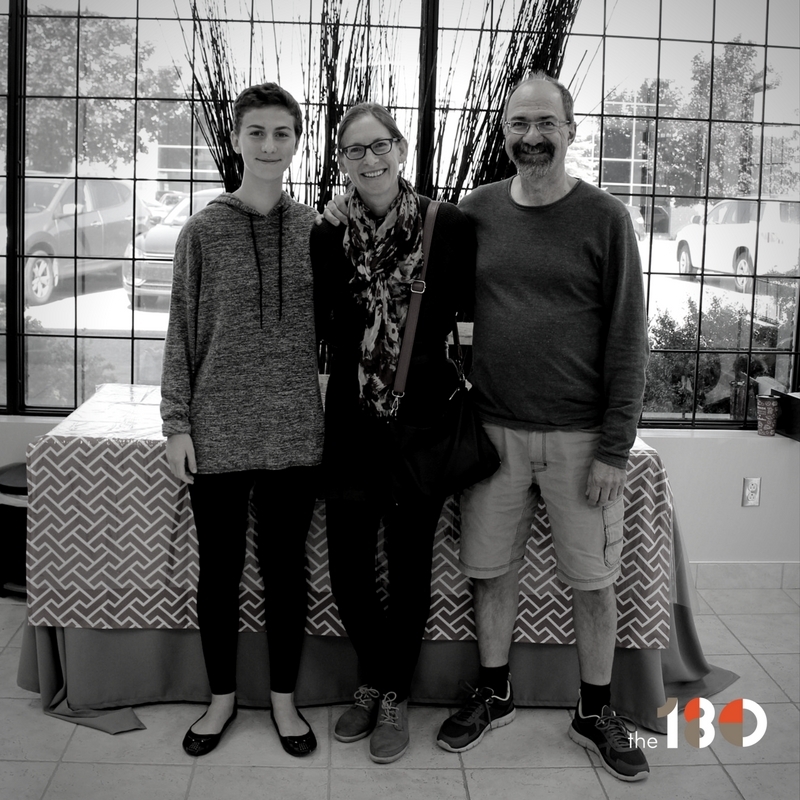 During this past year Martin has been involved with some handyman projects at the church and Marjorie looks forward to volunteering with the180 Kids this coming year. Our daughter Coralie is often away at school, but Katya has been involved with the180 Youth over this past year on a regular basis. We have also made space in our schedules to be a part of weekly Home Groups and we are very excited for that! Together we are learning how much it is a privilege to be received by God Himself - it is amazing that God desires to connect with us and help us grow. We love the180 because we feel it is a community that seeks to love and honour Jesus. As we mentioned, in the coming year we have made space in our schedules to be part of a Home Group and we look forward to being refreshed through others as well as being an encouragement to others. One of the things that has also come through for us in different sermons is the idea that God is not there to serve us! In fact, when we pray for things, God will bring our will in line with His and not just give us what we want. We love that although the180 seeks to be accessible to people who don’t yet know God, it not through preaching an easy way. The teaching is simple - but not easy! This is our final interview as we count down to our one year anniversary celebration! Hope to celebrate with you on Sunday!